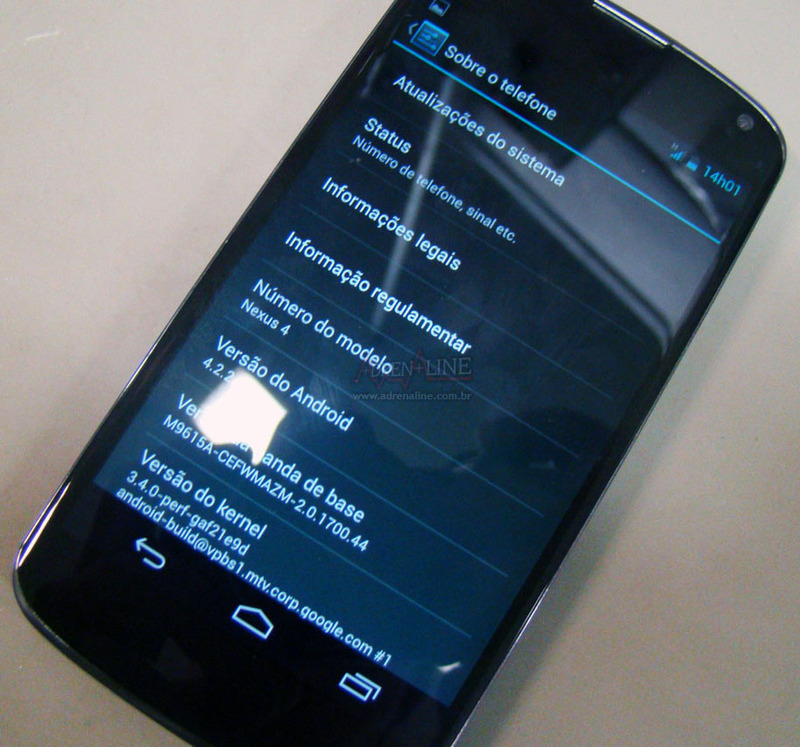 According to a pair of sites in Brazil and Malaysia, some new Nexus 4 orders are arriving with an unreleased and unannounced version of Android on them. As you can see from the picture, Android 4.2.2 is showing up in the About screen, an area that we all know can be easily faked. It does seem a bit odd that sites from two different countries would report a similar story to try to deceive the world at almost the exact same time, though, so who knows, maybe it’s true. If Android 4.2.2 is next for the Nexus line, we can’t imagine that it would offer anything significant by way of new features. So far, no reports of 4.2.2 are including mentions of new goodies. Again, if it’s real, it could be nothing more than a bug fixer. And not to downplay the importance of bug fixers, since we know 4.2+ has had its fair share of them. Google hasn’t said a word, and often times doesn’t on things like this. All we can hope is that an update starts to arrive on a Nexus near you in the near future.